Colorado has become the 12th U.S. state to pass a measure to award the electoral votes to the winner of the popular vote in presidential elections. Democrat Gov. Jared Polis signed a bill on Friday that would award Colorado’s presidential electoral votes to the candidate who wins the popular vote in a presidential election. Breitbart.com reports: It technically does not eliminate the Electoral College, it just awards the electoral votes from the states that sign onto the compact to the winner of the national popular vote. The compact only kicks in if enough states amounting to 270 electoral votes–a White House win–sign onto the plan. Members of the compact, which now with Colorado includes 12 states and the District of Columbia, would bind their electors in the Electoral College to the candidate who wins the nationwide popular vote instead of the candidate that gets the most votes in their respective state. As of now, those that have officially signed on combine for 181 electoral votes. But the compact only takes effect if states combine for 270 or more electoral votes— the number of votes needed to win a presidential election— agreeing to its terms. If enough states agree to the terms of the compact, it could change how presidential elections are decided by limiting the power of the Electoral College. The 11 states which have already agreed to the compact before Colorado— Vermont, Rhode Island, Hawaii, Maryland, Massachusetts, Connecticut, Washington, New York, Illinois, New Jersey, and California— have passed legislation in their respective statehouses agreeing to favor the popular vote in presidential elections. New Mexico, with 5 electoral votes, could be the next state to sign on to the compact, as its state senate recently passed a bill in favor of awarding electoral votes to the national popular vote winner and it awaiting the governor’s signature there. The same is true in Delaware, which has 3 electoral votes. Those two states would add another 8 electoral votes to the compact, getting it up to 189 total electoral votes–putting it 81 electoral votes shy of adoption. Although the popular vote movement has been branded as a bipartisan effort by supporters of the legislation, most of the states that have signed onto the National Popular Vote Interstate Compact are blue states. The popular vote movement also gained traction among Democrats after the 2016 presidential election, when President Trump won the election against his Democratic challenger Hillary Clinton but lost the popular vote by three million votes. Since then, some Democrats have sought to get rid of the Electoral College and replace it with a popular vote system. 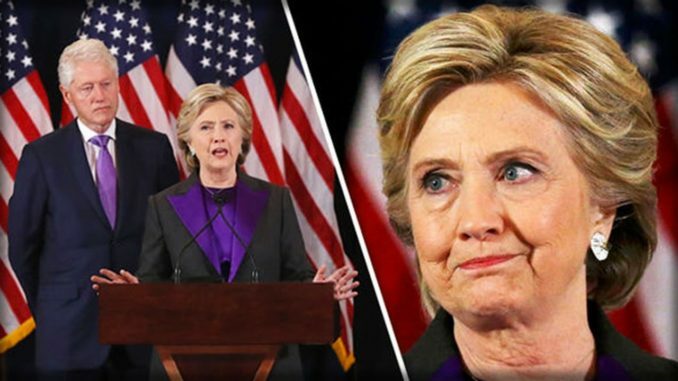 Clinton herself called for abolishing the Electoral College in September 2018, claiming the country should get rid of it because Trump was a terrible president who threatened American democracy. Other Democrats turned their calls for getting rid the Electoral College into action. Rep. Steve Cohen (D-TN) introduced a bill in Congress in January seeking to abolish the Electoral College. But President Trump has voiced support for the idea of a national popular vote election, too. “The Electoral College is different. I would rather have the popular vote because it’s, to me, it’s much easier to win the popular vote,” Trump added. The idea has split the conservative movement in much the same way the Convention of States idea has. Some conservatives like former Republican National Committee (RNC) chairman Michael Steele and former Michigan GOP chairman Saul Anuzis have also endorsed the idea. Other conservatives like Eagle Forum, the organization run by the late Phyllis Schlafly, have come out strongly against the idea.